The Sunday Times bestselling memoir, My Physic Life by Sally Morgan. Sally Morgan is an ordinary woman with an extraordinary gift: she can communicate with the dead. Her first psychic experience was when she heard voices when she was just nine months old. She saw her first ghost when she was five. Since then she has been speaking to spirits and passing on their messages, hopes and fears to the living with astonishing accuracy. It took a personal disaster in Sally's life to understand how to take control of the mysteries of the spirit world and become a professional medium. She has now done thousands of readings for people who have experienced a personal tragedy and suffered a great loss. My Physic Life is packed with amazing anecdotes that will send a shiver down the spine, in Sally Morgan's remarkable life story. Star of the popular ITV series Star Psychic and Living TV's Psychic Sally: On the Road, showbiz medium du jour Sally Morgan is the country's most accurate and respected psychic. 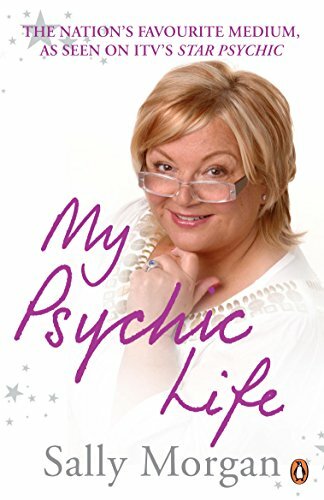 Her memoir, My Psychic Life, was a Sunday Times Top Ten Bestseller. She also authored Healing Spirits and Life After Death. Star of the popular ITV series Star Psychic and showbiz medium du jour, Sally Morgan is the country’s most accurate and respected psychic.